Being a leader is more than what you see at our hall each week. Behind the scenes there is a large network of support that over time becomes a network of friends and colleagues. Together we hope to create a great scouting experience for the kids, while also being an incredible journey for ourselves. The benefits of being a leader isn’t totally restricted to seeing the kids thrive and learn, it’s also a personal journey of self improvement and networking that reaches far beyond the confines of our local scout group. Through courses, district, region & state meetings and activities we meet and enjoy a lot of experiences that we would normally not be exposed to. How do I sign up to become a Leader? Just ask one of our leaders and feel free to ask them what it’s like and how they became a leader, Why?, the upsides, and the downsides. The first step is for the Group Leader to book you in to attend an “Introductory Interview”. The introductory Interview is just an informal meeting to discus what’s involved in becoming a leader, what’s required and introduce you to the support network that runs behind the scenes. After your initial meeting and a Police Check, you will be appointed a Personal Leader Advisor “PLA” and a login to our online training system. Your PLA will guide you through the training process and be available for any questions or resources you may need to complete your training. Noting that the other leaders will also be there to help you through it as well, don’t be afraid to approach any of us, there is already a wealth of all different sorts of experience all around us, it’s just a matter of tapping into those resources. Scouts Australia Institute of Training is a Registered Training Organisation (RTO # 5443) under the Australian Skills Quality Authority and the basic leadership training includes all the required competencies for the issue of the Qualification BSB31207 Certificate III in Frontline Management. 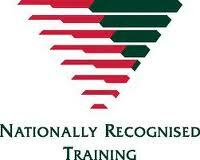 This is a Nationally recognised qualification under the Business Services Training package. Advanced Leader training takes you up to the Certificate IV level and then later with the addition of further modules you can be awarded the qualification of BSB51107 Diploma of Management. Basic Leader training involves completing online training modules, attending a weekend training course, and some inservice training at a neighbouring scout group. Further details of the training process can be found in the training calendar on the NSW website.